The Insight is a five-door hatchback hybrid, not too dissimilar in concept from Toyota's Prius. Honda, like Toyota, was well ahead of its competitors when it came to hybrids, the original Insight arriving in 1999 and hanging about until 2006. A small, super-efficient battery-assisted coupé, that original Insight was as interesting design-wise as it was technologically advanced, the slippery-shaped two-door having something of a cult following today. 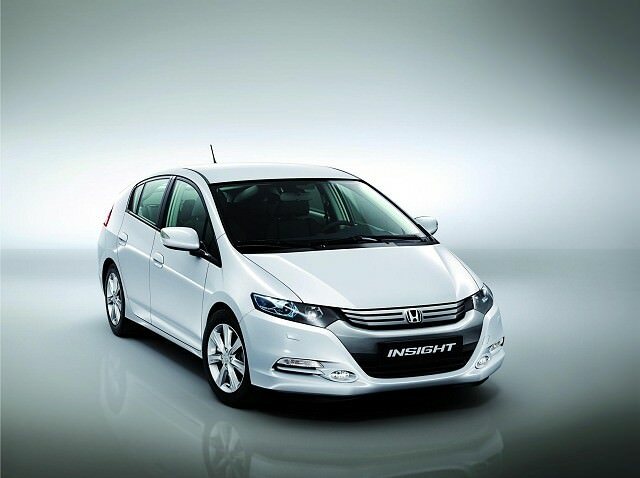 It was replaced in 2009 by the second generation Insight, a five-door hybrid that was more akin to Toyota’s hugely successful Prius than Honda’s first European-sold hybrid. More conventionally styled, it too featured a small petrol engine assisted by an electric motor powered by a battery pack. Scavenging power through regenerative brakes and when freewheeling the Insight the bigger five-door hatchback Insight was less efficient than its predecessor, which was down to the sizable increase in weight and scale, though against its conventionally powered rivals it offered an economy and emissions advantage. Realising its original Insight was a little bit too outlandish and impractical for a mainstream consumer audience Honda changed direction with its second Insight. Shown at the Detroit Auto Show in 2009, and on sale shortly after in Europe, the Insight mates a 1.3-litre four-cylinder petrol engine with Honda’s IMA (Integrated Motor Assist) hybrid powertrain. That allowed the Insight to achieve a combined consumption figure of 4.6 litres/100km and a CO2 output of 101g/km. Those figures have been eclipsed in recent years by many diesels and newer hybrids, but they still mean running an Insight will be an inexpensive proposition. Unsurprisingly, only one transmission was offered, the 1.3-litre hybrid powertrain driving through a CVT automatic and the front wheels. The interior features Honda’s usual digital-style dash with lots of supplementary info telling you what the hybrid system is up to if you’re interested. To drive it’s relatively conventional otherwise, not particularly quick or fun, but that’s true of its direct Toyota Prius rival too. All Insights come well equipped, in ES, EX and SE trims depending on year, and it was updated slightly in 2011 with changes to the suspension and interior trim. There were also improvements to the styling then, the grille and lower bumper looking sharper, while the IMA powertrain was upgraded to allow a combined consumption figure of 4.3 litres/100km and CO2 emissions of 96g/km. A 1hp improvement saw the 0-100km/h figure drop by 0.2 seconds, though the typical Insight driver would be unlikely to be concerned about such things. There’s not a huge amount of choice out there, and the later cars are a bit more efficient, but being more recent they’re also more expensive to buy. We’d have a pre-facelift car then, so one from 2009-2011. Honda’s Insight is admirably advanced, but you pay for the impressive economy and emissions with a dull, uninspired drive and a slightly compromised cabin for space. The Toyota Prius is much the same, only it looks a touch better, and the interior trim materials feel of greater quality - even if there are no complaints about how the Honda is built. A very pragmatic purchase, but a turbodiesel of around the same age won’t be much more expensive to run, and a whole lot more fun to drive.